Events and news stories relating to the neighbourhood of Sneinton in Nottingham, UK. To search for a news story from the archives, use the 'Search this site' box at the top right of the page. Looking for Sneinton Festival updates? Check our festival page. 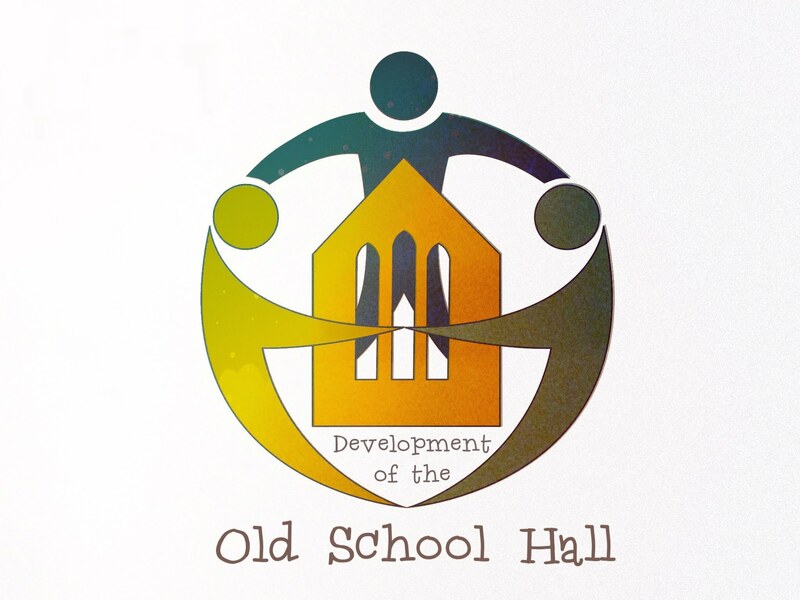 We are delighted to hear that we have been successful in attracting a small grant from the Architectural Heritage Fund (AHF) in order to support Project Viability work on the Old School Hall in Sneinton. This will fund the preparation of a report into the viability of 3 potential new uses for the Hall building, the scope of work and cost involved in making the transformation and the development of a preferred option in light of the 'Heritage Deficit'- in other words the amount of grant funding that might be needed to make the project viable. Built in 1843, the building is one of the oldest institutional buildings left in the area. Part of a school until the 1970s, the building served as a community centre until 2016 when the Council closed it down and decided to sell it. You can support the project by giving your feedback on the 3 options for reuse that are being considered. 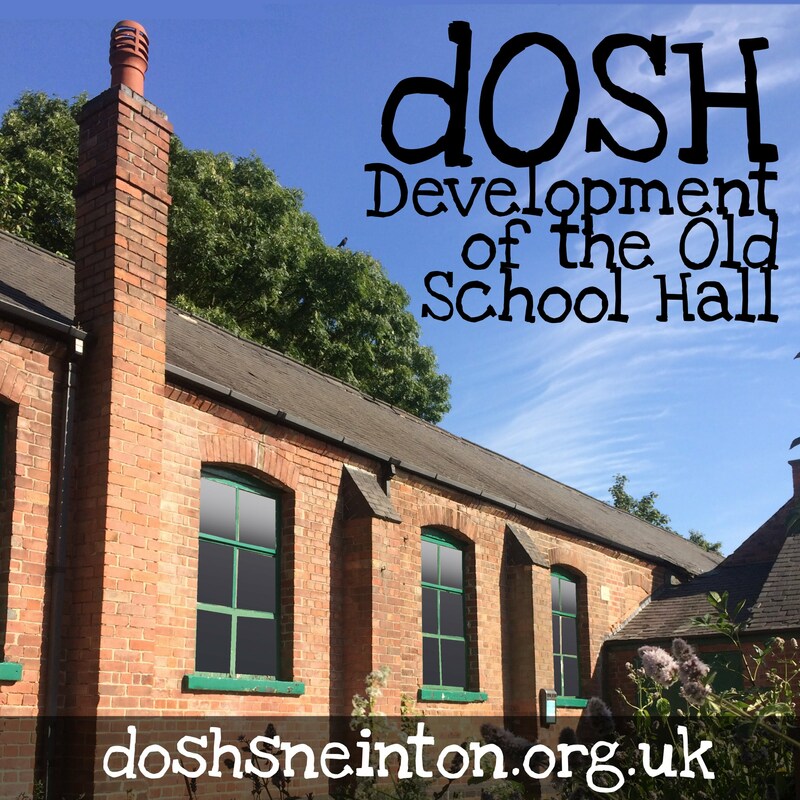 Take the dOSH (Development of the Old School Hall) survey to have your say. 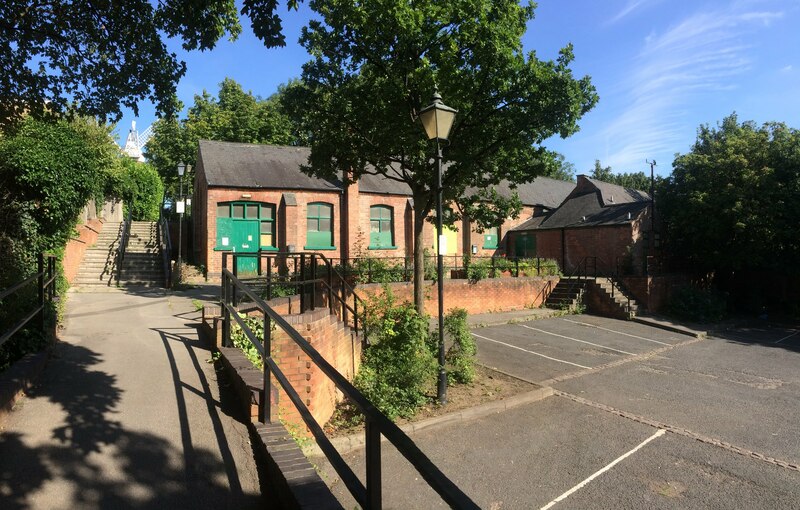 As a CIC (Community Interest Company) benefitting the Sneinton area, Alchemy has brought a unique angle to the Develop the Old School Hall team. The dOSH 'Community Alliance' itself is an un-constituted group made up of representatives from seven local organisations. The group formed to unite the community and find common ground amidst the swirl of opinions and upsets caused when the Hall was closed down as a Community Centre. This work is paying off and concrete plans are being drawn up for a sustainable use for this historic local landmark building. The Hall has been recognised as an Asset of Community Value, so whatever happens the new use has to prove significant community benefit. Sneinton Alchemy brings a long track record of handling grant funding and commissioning project work within the area. It's legal structure also includes an 'asset lock', should it be needed. This ensures that any assets the CIC buys are held for community benefit only, and cannot be sold for individual private gain. "The walks are free and for all ages. (walkers under 14years must be accompanied by an adult). They are suitable for all abilities whether they are a regular walkers or not. "The walks offer a chance to meet people and maybe see a different areas. The St Ann’s & Sneinton walk is a little more strenuous than some as the walk usually includes a visit to Greens Windmill site. "Meet on Wednesdays at Victoria Leisure Centre to set off at 10:30 am. New walkers will need to complete a registration form on arrival so please come a little earlier. "Anyone wishing to find out more can call me (Mon – Weds) on the number below or just turn up at the start of the walk. 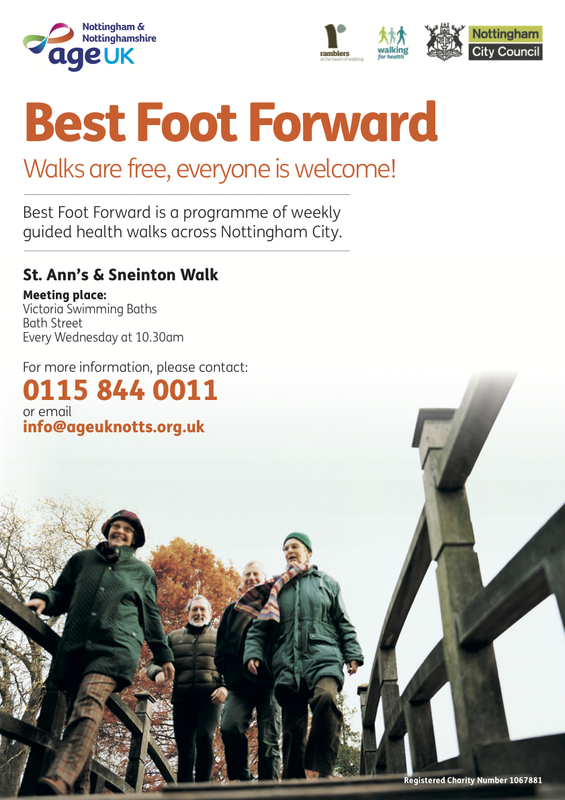 You can also find out more here: Best Foot Forward | Walking for Health"
Together we have had some great conversations about how we can make the most of our public spaces. 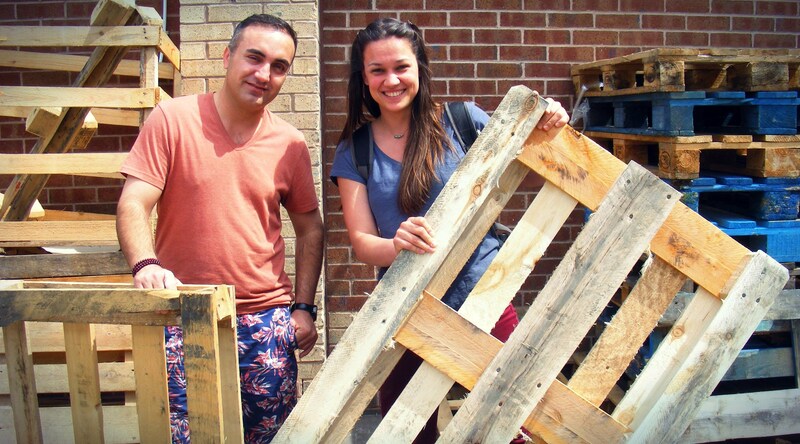 During this process we were able to bring you some community furniture made from donated wooden pallets. 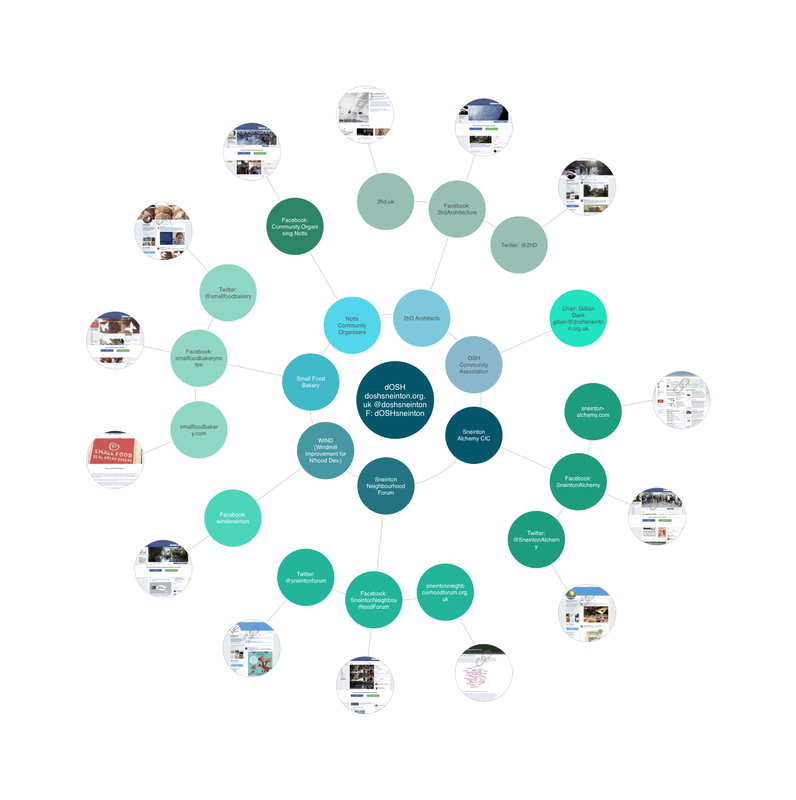 You may have followed our progress on this through our previous blogs. However, if you missed the unveiling of our community furniture at the Sneinton Festival fear not! We will be showcasing the furniture (as well as the process) throughout September at Central Library. Don't miss our launch this Saturday 3 September 11-1pm at Central Library, including a guided tour. Although the exhibition marks the final stages of this project we hope that this will be the beginning of a great partnership between Nottingham Trent University, neighbourhoods like Sneinton and the general public, which will last for a few more years, giving us the chance to create a platform for dialogues between communities across Nottingham. 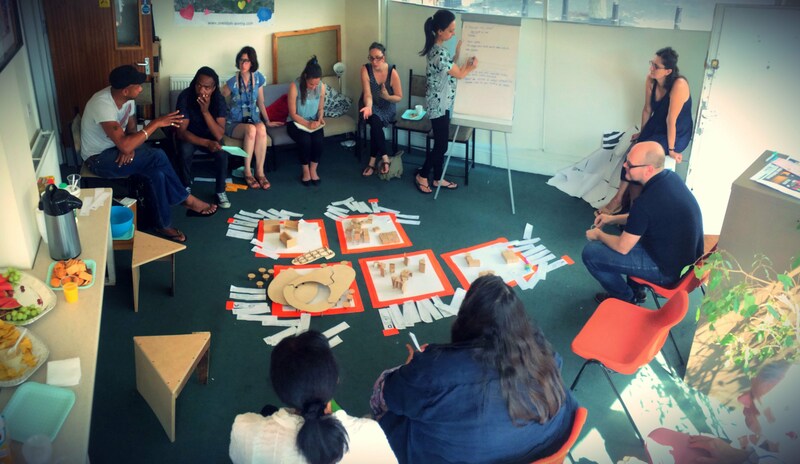 Nottingham Trent University held a session for people to help design a piece of "community furniture" for Sneinton, as part of the Mapping Nottingham's Identity project. 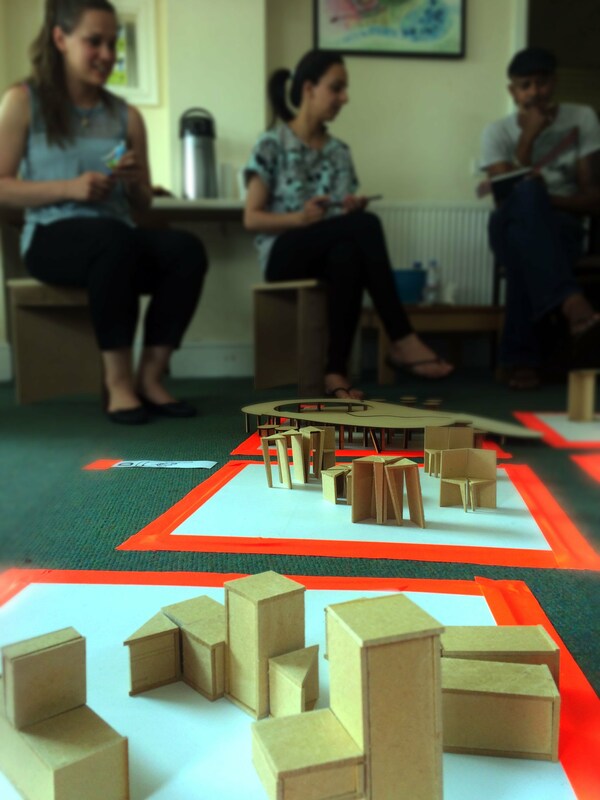 Students from NTU's School of Architecture and the Built environment had worked with staff to interview local groups and work out some ideas for a small piece of modular 'furniture'. The idea is that the pieces will be stored by the groups and brought to local events to join together and make stages, seating and tables. A design guide will also be prepared so that people can make their own at home from recycled palette wood. 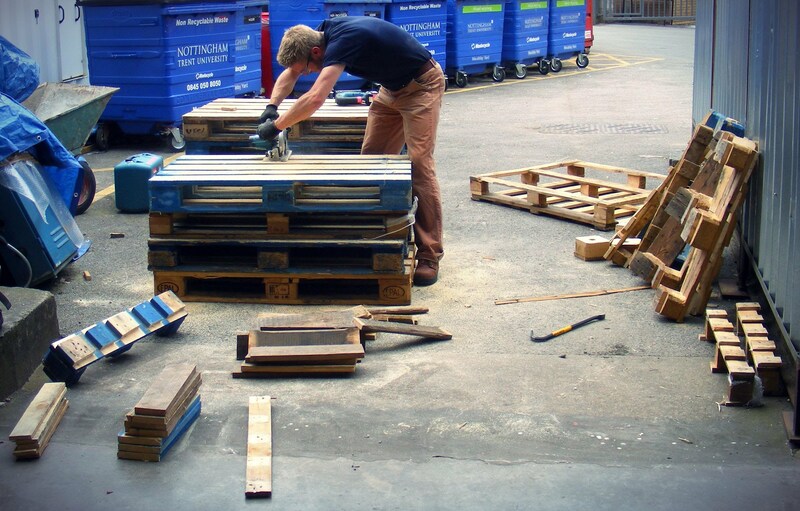 12 pallets were donated by 2J's supermarket - these are being reclaimed and assembled at the NTU workshop. A number of prototypes will be on show for the public to test out at the Sneinton Festival - find us at the Sneinton Alchemy and Sneinton Identity stalls! Left: Community Design session in progress, design options on the floor at TRACs! 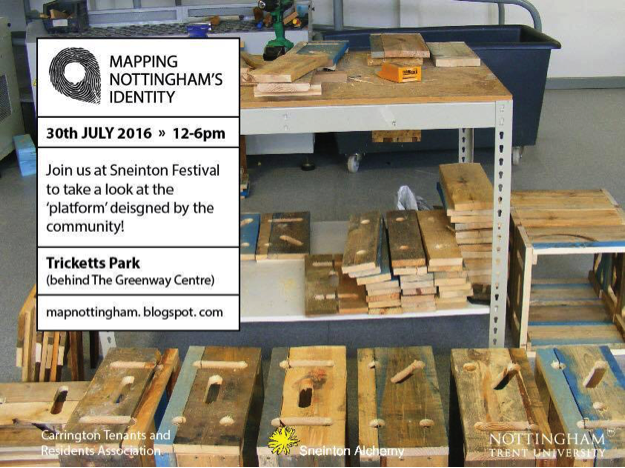 You can follow progress on the Mapping Nottingham's Identity project blog ... to find out more please contact Shabana or visit the stall at Sneinton Festival on 30th July. 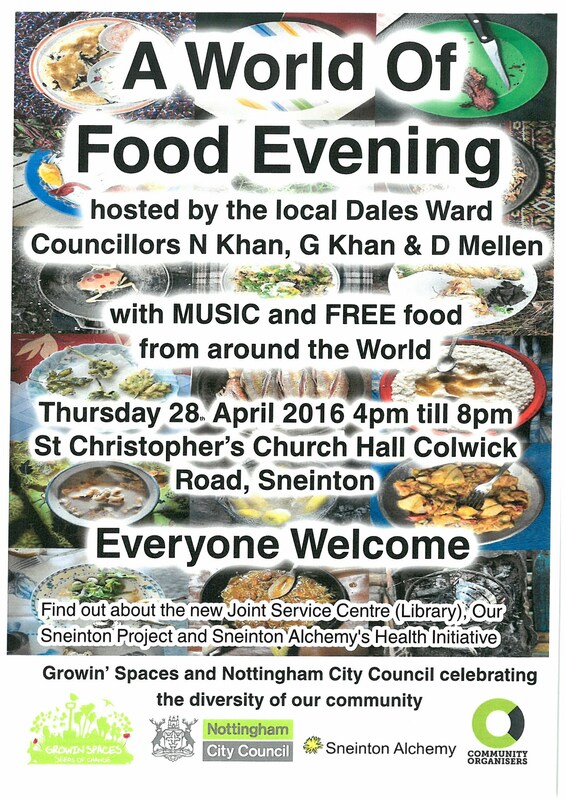 Dales Ward Councillors come together with Growin' Spaces and Sneinton Alchemy to offer a free evening of world music and food to share. On Thursday evenings the Growin' Spaces cafe at St Christopher's Hall will have an unusual twist - with free food from around the world being dished up courtesy of our local Councillors. The Joint Service Centre proposals will be explained, featuring the Sneinton and Bakersfield libraries moving to the current Sneinton Police Station on the Dale. 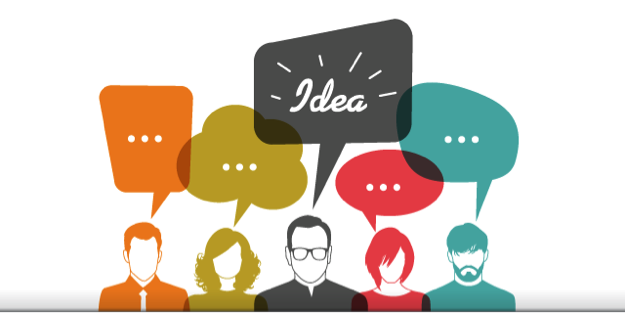 You can have your say on what you want to see at the new centre. 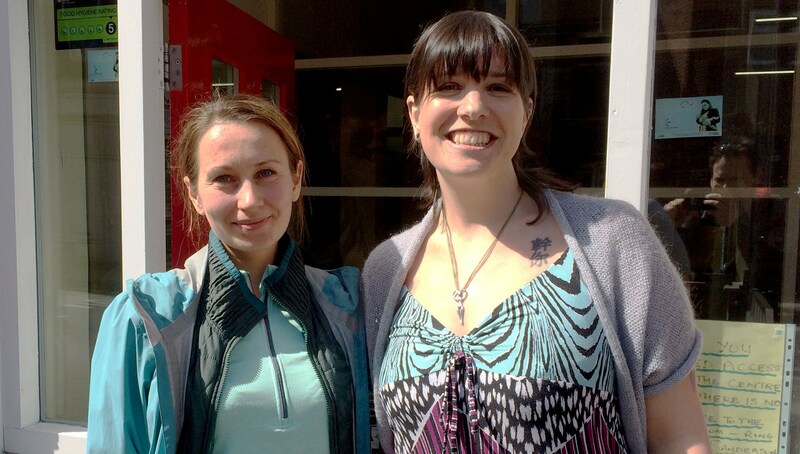 What is Sneinton Alchemy's new Health Initiative all about? Everyone is welcome, and it's free! 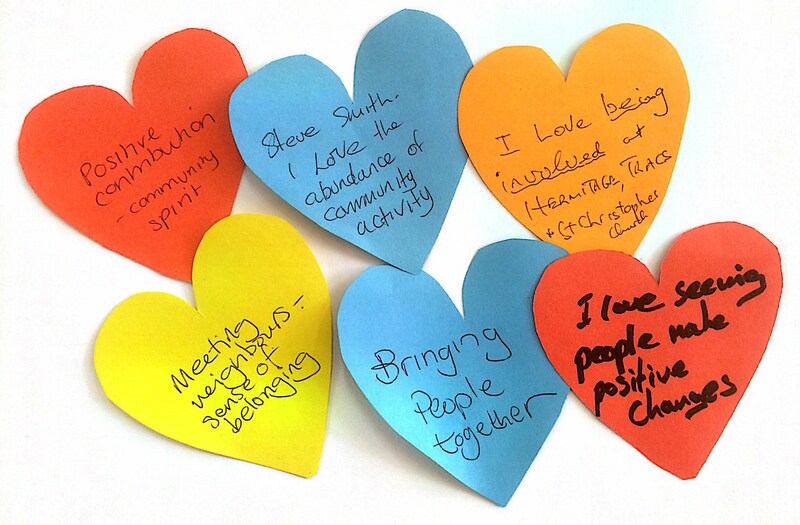 What do you get out of volunteering in Sneinton? A really positive Community Cohesion Event today at Sneinton Hermitage: People from a number of centres and projects across the area come together to discuss volunteering needs, barriers and a potential in the area. SEND's Supporting Sneinton project brought together TRACs Neighbourhood Centre, Sneinton Hermitage Community Centre, The Greenway Centre along with Sneinton Alchemy, Sneinton Neighbourhood Forum, Sneinton Bikers, St Christopher's Church, NOOR group, Colwick Woods and others. A particular highlight was hearing volunteering experiences from Charlotte and Svetlana, both quite recent arrivals in Sneinton who had very valuable experiences to share, some positive and some negative, of 'getting stuck in' to community volunteering work. With funding for communities declining and needs increasing at the same time, all recognised that volunteers will become increasingly vital locally - but volunteers deserve proper support and development in exchange for their input and loyalty. This volunteer support is difficult to provide for organisations whose resources are already stretched in delivering services to the community... The Supporting Sneinton project, despite focussing on just 3 local centres, has shown that collaboration can raise recruitment of volunteers and the quality of their experience. The ambition is to develop a Sneinton Community Volunteering Hub which will be open to a wide range of centres and groups in the area. This has to potential to recruit and retain more volunteers, to find them opportunities appropriate to their skills and commitment levels, and to ensure good volunteer management processes. A Volunteer Management Workshop will be held by Supporting Sneinton on Tuesday 26th April from 10am – 1pm at The Greenway Centre. For more information on this workshop or the Volunteering Hub plans, please contact Stacey (see details below).